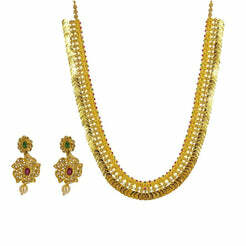 22K Yellow Gold Tikka W/ CZ Gems & Eyelet Pendant Chain for women. 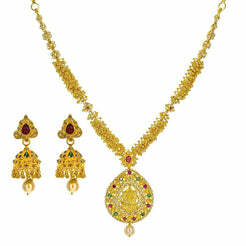 Adorn your head with this elegant 22K yellow gold Tikka encrusted in precious CZ gems with a featured design of eyelet details along the chain and its large pendant. The chain is 3.5 inches long and 5 mm wide. The pendant is 24 mm long and 17.75 mm wide. 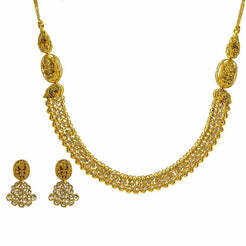 This elegant piece has a total gold weight of 7.9 grams.